ACCESS THE GRANT DOCUMENTS HERE. GAMBUT is engaged in a variety of on-the-ground activities nationally, as well as across two provinces, Riau and Central Kalimantan. Central to GAMBUT is the Fire Risk System (FRS), a computerized early warning tool that uses socioeconomic and biophysical data coupled with climactic data, to predict where fires will occur, thus allowing fire officials to strategically target prevention efforts in those areas that need it most. Through implementing partner IPB, GAMBUT is training government and other stakeholders how to use this tool, and how to engage in fire-responsive policies and development planning. 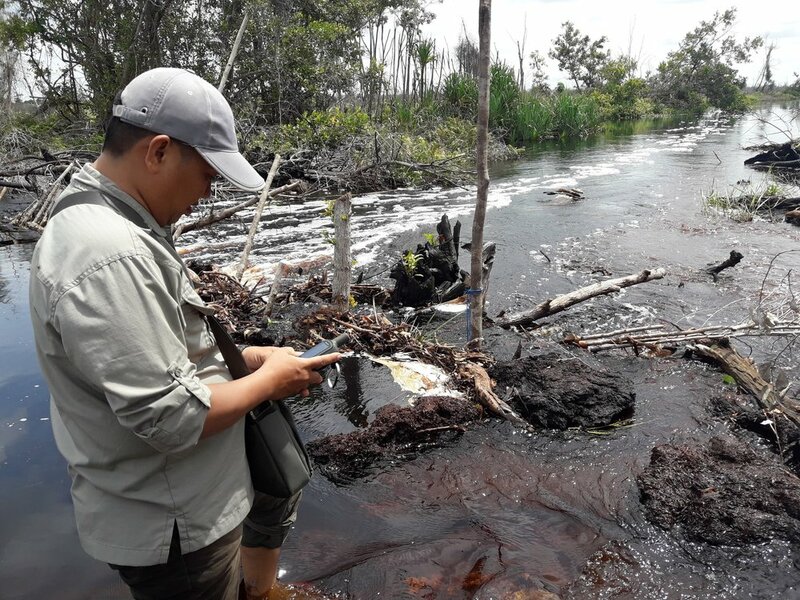 GAMBUT is doing a pilot peat re-wetting project in Barito Selatan district, Central Kalimantan. If successful, raising the water levels and rewetting peat will not only prevent fires, but it will allow the local villagers to expand their fish farms, providing a source of nutrition and livelihoods for the village. In a large, dispersed, decentralized democracy like Indonesia, government coordination can be a challenge for implementing any policy. GAMBUT staff at the national and local levels are facilitating government coordination and budgeting around fire prevention and suppression, through technical and logisitical support and policy advice. With help from international fire experts, GAMBUT is training local fire-fighters, the Masyarakat Peduli Api (MPA), in six villages of Pulang Pisau district, Central Kalimantan. Village fire-fighters are the front line for putting out many fires, but lack training and proper equipment. GAMBUT is making sure these brave defenders are safe and well-equipped in one fire-prone district. Integrated Fire Management (IFM) takes a holistic approach to fire control, focusing foremost on prevention and preparedness, then suppression. The GAMBUT team is supporting the development, planning and operations of IFM working groups in all districts. These groups are comprised of government officials across multiple agencies, who meet on a regular basis to plan and budget for fire prevention. With the help of implementing partner Columbia University, GAMBUT is doing several studies of fire dynamics, including: fire-free paths to development in Papua, the in institutional dynamics of fire in West Kalimantan, policy incentives against fire in Riau, and the role of Forest Management Units in fire prevention and suppression.